Local Color Farm and Fiber is owned and operated by Emily Tzeng and Brian Love. We grow food, flowers, and fiber. Our farm in the Puyallup River Valley of Washington State is excited to be growing fresh vegetables, heritage breed lamb, and naturally dyed fibers for your family. Emily arrived to farming via urban gardening and architecture. Brian enjoys raising rabbits and designing public schools. We are first generation farmers from the East Coast and Midwest who fell in love in Houston, Texas and then the Pacific Northwest. 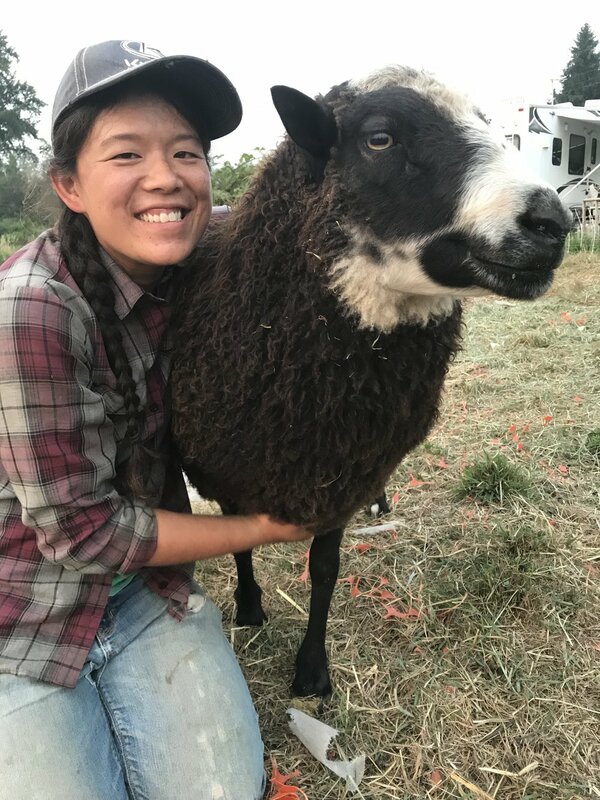 Emily originally established the farm on Bainbridge Island in 2013 on multiple plots before they were able to settle in the Puyallup River Valley in 2018. We are excited to be growing this farm and to keep this land in agriculture for another generation.